The secondary structure of proteins results from both local and long-range interactions, the latter being primarily backbone hydrogen bonding. In this chapter, based on our recent work, we suggest that the striking regularity of secondary structure can be described, in a semi-analytical manner, in terms of Kubo cluster cumulants (corresponding to the expansion of the protein’s potential of mean force) that originate from the coupling between the backbone-local and backbone-electrostatic interactions. This finding is illustrated by the analysis of the Protein Data Bank statistics. 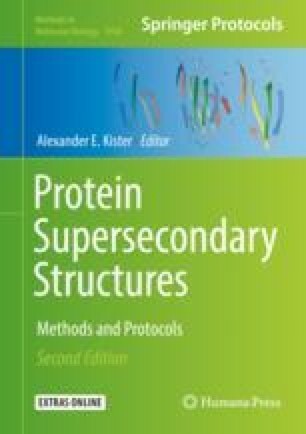 Examples demonstrating the importance of the coupling terms in coarse-grained treatment of proteins are also presented. This work was supported by grants UMO-2017/25/B/ST4/01026, UMO-2015/17/D/ST4/00509 and UMO-2017/26/M/ST4/00044 from the National Science Center of Poland (Narodowe Centrum Nauki). Calculations were carried out using the computational resources provided by (a) the supercomputer resources at the Informatics Center of the Metropolitan Academic Network (CI TASK) in Gdańsk, (b) the supercomputer resources at the Interdisciplinary Center of Mathematical and Computer Modeling (ICM), University of Warsaw (grant GA71-23), (c) the Polish Grid Infrastructure (PL-GRID), and (d) our 488-processor Beowulf cluster at the Faculty of Chemistry, University of Gdańsk.